Incredible opportunity to own in Avenel! This is one of the very few homes which features open scenic golf course views. 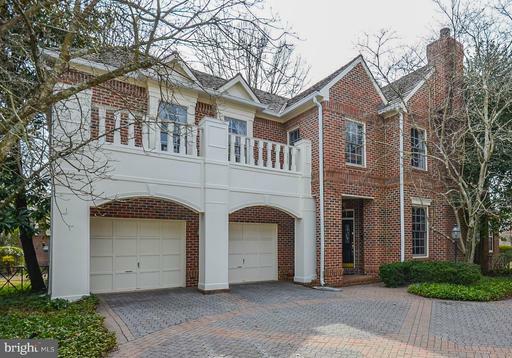 Main level features formal living, dining room which has been opened up to the family room to allow for better flow and view, powder room, access to the 2 car garage, gourmet kitchen, sunroom addition which leads out to the deck patio. Gleaming hardwood floors are featured throughout the main level and upper level common area, master bedroom, and optional 4th bedroom. Upper level has 3 bedrooms and a room which can be used as a 4th bedroom, den, or office space. This level also has a bonus sitting area, which is unique among homes in the community. The fully finished lower level contains the second family room, wine storage wet bar, a full bathroom, a bonus room, and ample space for storage. This home has custom paint throughout. Avenel is home to incredible amenities such as the golf course, pool, clubhouse, tennis courts, natural trails, and many parks! SHORT SALE WITH 2 LENDERS. SPLIT LEVEL HOME W/2 CAR GARAGE. 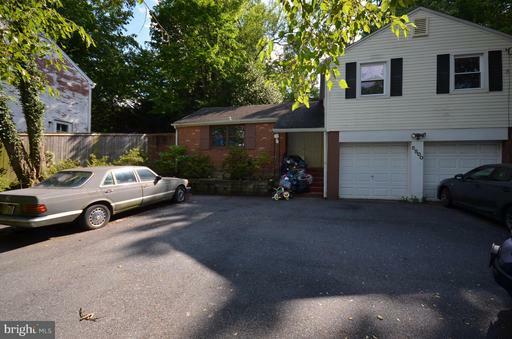 LARGE LEVEL LOT W/CIRCULAR DRIVEWAY, NEAR DOWNTOWN BETHESDA W/PLENTY OF SHOPS, RESTAURANTS TRANSPORTATION, NEEDS WORK, SOLD "AS IS", REMODEL OR BUILD YOUR DREAM HOUSE IN A COVENIENT LOCATION. Outstanding 3 level TH-style condominium w/ built-in 1 car garage! Main level is brimming with natural light - enormous LR/DR combination, separate dining area, eat-in kitchen features island, SS appliances, granite counters, table space, and balcony access. Top level has beautiful cherry wood floors throughout. The master suite is equipped with 2 walk-in closets ensuite full bath with soaking tub, dual vanities, separate shower, and W/C. The community features a sparkling outdoor pool, tennis courts, tot-lot, and clubhouse with fitness center. Located in the Watkins Mill Town Center development, this condo is just steps away from RIO Washingtonian Center Downtown Crown, which is home to a plethora of outstanding restaurants and shopping opportunities! ALL OFFERS DUE ON SATURDAY, 4/20 AT 8:00PM. 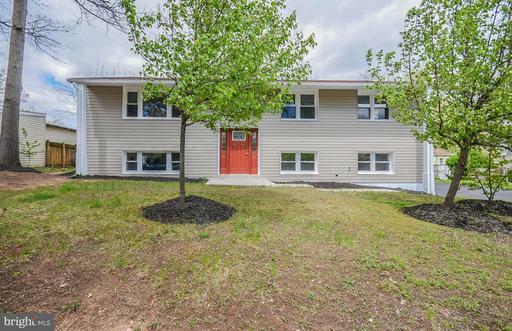 Fully renovated split level home in a quiet community. Beautiful dark HWF span the entire upper level, which features a spacious living room and dining room combination, gourmet kitchen with stainless steel appliances and an island, and access to the refurbished desk overlooking the enormous backyard. The master bedroom is equipped with an ensuite full bath and walk-in closet. Two more BRs and a full bath complete the upper level. Downstairs, you will find an expansive recreation room with new tile flooring and a wood-burning fireplace. The lower level also contains a half bath, two full-size bedrooms, a full bathroom, laundry area, and convenient bonus room with wetbar. 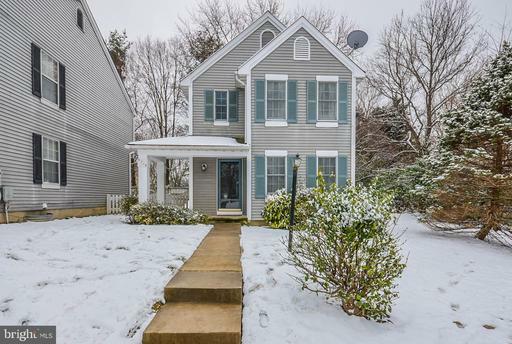 This home has a driveway with ample off-street parking and is located in close proximity to shopping centers, multiple parks and recreation centers Glenn Dale Splash Park, Lanham Skate Center, and major transportation routes. Fully renovated, 3 level Cape Cod. Main level features a spacious living-dining-kitchen area with dark wood floors, brand new stainless steel appliances, and upgraded countertops. Kitchen walks out to upgraded deck and the enormous backyard with 3 storage sheds. 2 BR 1 BA are on main level. Fully finished upper level has a full bath, 2 large bedrooms, and ample storage throughout. Basement contains the laundry area and wet bar, 2 bedrooms with closet space, and the third renovated full bathroom. Home features a large driveway and parking area and is located near parks, shopping centers, and major routes. 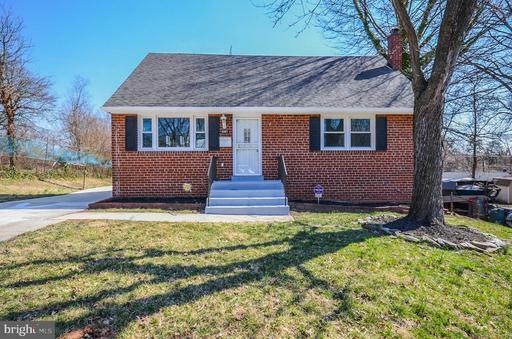 LOVELY, FULLY RENOVATED RAMBLER WITH STUNNING UPGRADES THROUGHOUT! ENORMOUS LIVING ROOM FEATURES BEAMED CEILING, WOOD-BURNING FIREPLACE WITH MANTEL, AND WOOD FLOORS. 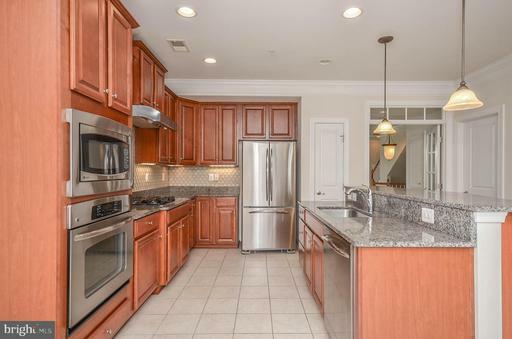 OPEN, GOURMET KITCHEN HAS GRANITE COUNTERS SS APPLIANCES. FORMAL DINING ROOM IS OFF THE KITCHEN. MASTER BATH FEATURES ENSUITE FULL BATHROOM. 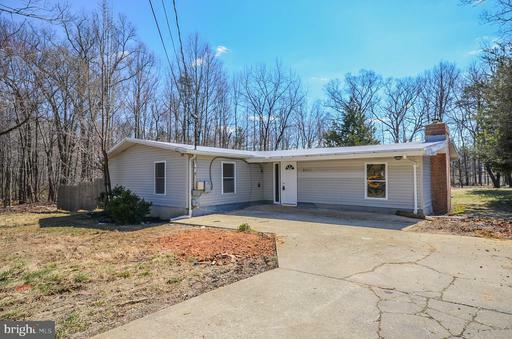 HOME IS ON A HUGE LOT AND HAS AMPLE YARD SPACE AND CONVENIENT DECK FOR ENTERTAINING. PAVED DRIVEWAY WITH OFF-STREET PARKING. CONVENIENTLY LOCATED NEARS MANY PARKS, SHOPS, AND MAJOR TRANSPORTATION ROUTES.